The 2011 Paddy Pallin Foundation Science Grantwas awarded to Helen Smith from the University of Sydney for work into the relationships between the black rat and the native animals. Invasion of non-native species into foreign ecosystems is one of the biggest challenges for conservation and restoration biologists. In particular, fragmented ecosystems with vacant niches are highly susceptible to invasion by alien species. The black rat (Rattus rattus) is a major threat to biodiversity, and, has caused significant declines in fauna and flora through competition, predation and disease. Despite this, black rat impacts have not been quantified in Australia. 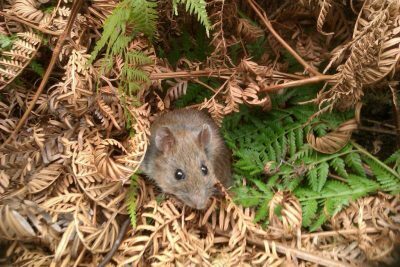 My research will quantify the ecological impacts of black rats on native Australian wildlife in the Sydney Harbour National Park. My research will explore the ecological factors that shift when a resident rodent is displaced, and the knock-on effects that influence overall ecosystem health. This will fill a major knowledge gap about the current and future potential threat of the black rat to Australian natives. It also explores the responses of wildlife to the reintroduction of a rodent that was once abundant in Sydney. The reintroduction program will provide enormous conservation benefits to natives by blocking reinvasion processes. I am extremely proud to be awarded a Paddy Pallin Grant. It is a tremendous privilege that my research will have the backing of such a prestigious grant. Also, that my project was deemed worth of this award, reaffirms to me how valuable (and poorly studied) my area of research is. I intend to direct the Paddy Pallin grant money directly towards two pieces of equipment that are crucial for my monitoring protocols: artificial bat boxes and rapid-fire infrared cameras. The findings from my project will inform management authorities of the direct impacts of black rat, and the wildlife responses to the reintroduction of the Bush Rat. This will help authorities to effectively use management techniques and financial resources that promote ecologically sustainable bushland reserves. I look forward to presenting my finding at a public lecture in the near future. 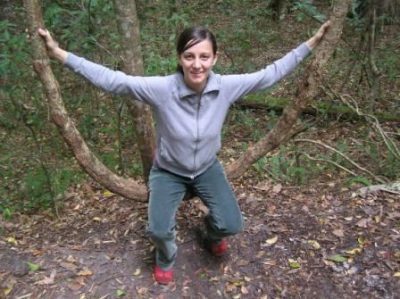 The 2010 Paddy Pallin Foundation Science Grant has been awarded to Nelika Hughes from the School of Biological, Earth and Environmental Sciences, University of NSW and the Australian Wildlife Conservancy. Below is a brief description of her project. Burning in the ‘burbs: can fire be used to regenerate urban remnants of the endangered Eastern Suburbs Banksia Scrub ecological community? As its name suggests, the Eastern Suburbs Banksia Scrub (ESBS) ecological community used to cover much of Sydney’s Eastern Suburbs between North Head and Botany Bay (approximately 5 300 ha). Today, however, most of this area has been cleared for urban development, and the community now covers less than 3% of its former range, is highly fragmented and many remaining fragments are degraded. ESBS has consequently been listed as an endangered ecological community under both New South Wales state and Commonwealth conservation legislation. Fires have been excluded from most areas of urban bushland, causing the local extinction of species that require fire for seedling recruitment. Long-unburnt (>30 years) ESBS is dominated by only a few standing species, with an overall loss of floristic diversity and vegetation structure. What we don’t understand is whether this community simplification reduces the long-term conservation prospects of both the ESBS endangered ecological community and the species which rely upon it. Rabbits and rats are known to eat seeds and seedlings, and so potentially reduce fecundity and seedling recruitment. The impacts of these feral herbivores on species composition, richness and diversity have not been quantified. 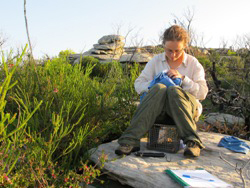 Investigating the fire ecology of ESBS at the community level and determining the impact of pest species on regeneration are key research priorities for the conservation of the ESBS endangered ecological community. Using a careful experimental design, I will survey vegetation, invertebrate and soil seed banks in small patch burns within the North Head Sanctuary in order to monitor the community response of ESBS to fire, and to determine if and how this response is affected by feral herbivores. My study will add significant depth to our understanding of the general ecology of this endangered ecological community, and not just a select few species. This research will also have broad applicability to the conservation of other urban bushland remnants, many of which are vulnerable to the effects of altered fire regimes and introduced species. The Foundation for National Parks and Wildlife supported a Marine Science Grant to Gwenael Cadiou. has been awarded to Pia Lentini, the Fenner School of Environment and Society, Australian National University, Canberra. Below is a brief description of her project. Since European settlement, the ‘wheat-sheep belt’ of New South Wales has been cleared of much of its original woodland and grassland vegetation to allow for the establishment of agricultural production. Travelling Stock Routes (TSRs) are extensive corridors of vegetation that were gazetted prior to clearing to facilitate the droving of stock to markets and other pastures. Unlike the lands which form the NSW protected area estate, many TSRs traverse low-lying and productive areas, and comprise several threatened ecological communities, such as critically endangered grassy box woodlands, which are poorly represented in the protected area system. TSRs provide essential habitat for woodland and grassland fauna, as well as vital connectivity to allow migration and dispersal. They will become increasingly important as climate change drives species out of their historical ranges. Additionally, TSRs act as refuges for many native and rare plant species and assemblages, and help to maintain genetic diversity and locally-adapted subspecies. In spite of this, almost no published scientific work has been carried out that specifically investigates the ecological communities contained within TSRs, and how biota interact with and benefit surrounding agriculture. Recent changes to the management of the network could see portions of ‘lesser conservation value’ sold off or leased, so my research aims to fill in some of the key knowledge gaps that are preventing TSR managers from making evidence-based informed decisions as to how this issue should be approached. My project will consist of wildlife and vegetation surveys carried out both within and adjacent to the stock routes in the agricultural landscape of the central-west and south-west slopes of NSW. I hope to determine not only how biota use the stock routes, but also whether landscape context and surrounding land use impacts on both the habitat value of the routes and the ways in which animals move through and around them. This information will then be used to help prioritise sections of the network which should be protected or earmarked for restoration, using spatial optimisation tools. By managing the network in an informed manner, we have the opportunity to protect some of the last quality remnants of box woodlands and the species they support, as well as large-scale connectivity across the state of NSW. has been awarded to Rachael Gallagher, Plant Ecology Researcher, Department of Biological Sciences, Macquarie University, NSW 2109. Below is a brief description of her project. Climbing plants are among the most familiar features of rainforest plant communities, yet surprisingly little is known about the ecology of this important group, particularly in a subtropical Australian context. Historically, progress in the research of climbing plants has been hampered by the poor perception of this functional group in the forestry industry, and by the logistical difficulties associated with data collection in the field. The field work component of my PhD focuses on the species composition and traits of native and exotic climbing plants in endangered littoral rainforest communities in eastern Australia. Owing to their proximity to the coast, littoral rainforests are often shorter in height and structurally less complex than their inland subtropical counterparts. Nevertheless, littoral rainforests harbour a high diversity of climbing plant species, making them an ideal community in which to study vine dynamics. The extent of littoral rainforest has been dramatically reduced by coastal development and sand mining, and it is presently found only in small, fragmented patches dotted along the coast. 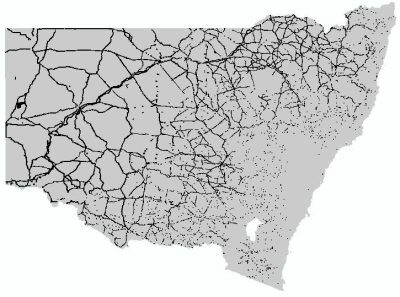 Fortunately, these areas are now protected under NSW and Federal environmental legislation. That relatively little research concerning littoral rainforest has been undertaken is, however, a potential impediment to its continued conservation. Increasing our knowledge of littoral rainforest through an understanding of climbing plant dynamics, and thus contributing to the conservation of this unique community is my motivation as a researcher. The primary aim of my research is to quantify differences in climbing plant traits and species composition along a minimum temperature gradient in subtropical Australia. Ecological strategies of native and non-native climbing plants will be compared along the gradient to assess the role of climate in structuring climbing plant communities. These findings will be used in conjunction with species distribution modeling to estimate the effect on climbing plant species of projected changes in climate in Eastern Australia. Understanding the response of climbing plants to anthropogenically induced climate change is critical for predicting the impact of compositional changes upon the integrity of littoral rainforest.